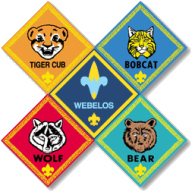 Tonight, the boys will be working on the Webelos Walk About Adventure. They will be planning their 3-mile hike scheduled for October 28th. Next, they will assemble a first aid kit suitable for our hike. Finally, they will describe & identify poisonous plants, dangerous animals, and insects we may encounter on our hike.